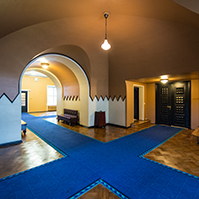 The Riigikogu passed with 68 votes in favour the State Pension Insurance Act, Superannuated Pensions Act and Foreign Service Act Amendment Act (917 SE), initiated by the Government of the Republic. The Act determines the right to receive pension in the case of persons whose residence is in several countries. The Act specifies the notion “old-age pension age” in the interests of legal clarity. The Act enables pensioners to work without losing their pensions. The Riigikogu passed with 59 votes in favour the Act on the Ratification of the Partnership and Cooperation Agreement Establishing a Partnership between the European Communities and Their Member States of the One Part, and the Republic of Tajikistan, of the Other Part (956 SE), initiated by the Government of the Republic. So far the Trade and Cooperation Agreement, concluded on 18 December 1989 with the former Soviet Union, has regulated the relations between the European Communities and Tajikistan. 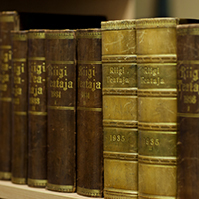 The Riigikogu passed with 54 votes in favour the Act on the Ratification of the Convention on the Accession to the Convention on the Elimination of Double Taxation in connection with the Adjustment of Profits of Associated Enterprises and the Signing of the Protocol thereto (959 SE), initiated by the Government of the Republic. The Convention obligates the Member States to eliminate double taxation by establishing transfer prices and ascribing profit to permanent business establishments. 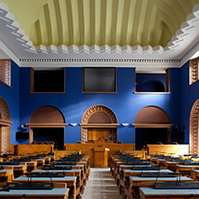 Upon the accession to the Convention, Estonia is able to protect the state revenues as well as the Estonian taxpayers in transnational tax disputes. The Riigikogu passed with 54 votes in favour the Act on the Ratification of the Agreement on Amendments to the Treaty between the Government of the Republic of Estonia and the Government of the United States of America on Mutual Legal Assistance in Criminal Matters (970 SE), initiated by the Government of the Republic. 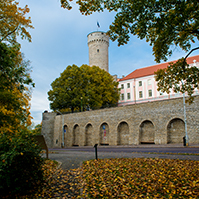 The Act integrates the provisions of the Treaty, signed between the European Union and the United States of America, into the Treaty concluded between Estonia and the United States of America. The provisions update mutual legal assistance, allow to carry out procedural acts and to accelerate the submission of letters rogatory, and their legislative proceedings. The Riigikogu passed with 50 votes in favour the Act on the Ratification of the Extradition Treaty between the Government of the Republic of Estonia and the Government of the United States of America (971 SE), initiated by the Government of the Republic. The Act applies the provisions of the Treaty between the European Union and the United States of America, updates the extradition procedure and the list of crimes, leading to extradition. 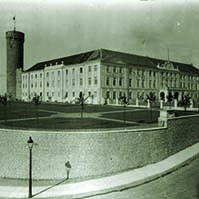 At present the extradition procedure between Estonia and the United States of America is regulated by the Treaty between Estonia and the United States of North America, concluded on 8 November 1923, which did not comply either with the contemporary legal language or the penal power in force. The Riigikogu passed with 49 votes in favour the Act on the Ratification of the Optional Protocol to the Convention against Torture and Other Cruel, Inhuman or Degrading Treatment or Punishment (916 SE), initiated by the Government of the Republic. The Act creates a system of regular visits to custodial institutions, in order to prevent torture and abuse. Pursuant to the Protocol, a subcommittee for the prevention of torture and other cruel, inhuman or degrading treatment or punishment, subordinated to the UN Committee against Torture, is created to represent the international part of the visits system. The Parties to the Convention also have the obligation to guarantee the existence of a relevant national prevention institution. A state which has no relevant institution, takes on the obligation to establish one. The Riigikogu passed with 46 votes in favour the Act on the Approval of the Protocol of Amendments to the Convention on the International Hydrographic Organization (961 SE), initiated by the Government of the Republic. The Act improves significantly the capability of the Hydrographic Organization, makes its work more efficient and operative, and simplifies the procedure for the accession to the Convention of new states. 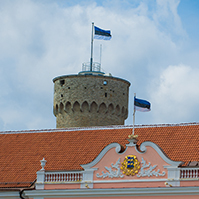 The Riigikogu passed with 40 votes in favour the Resolution of the Riigikogu On the Use of the Estonian Defence Forces Unit in Performance of International Duties of the Estonian State in the Membership of the NATO Response Forces (950 OE), initiated by the Government of the Republic. The Resolution enables, if necessary, to use the Estonian Defence Forces Unit with a staff of up to 40 members of the Defence Forces beginning from 1 January 2007 to 31 January 2007 in the membership of the NATO Response Forces in operations ensuring peace and security. The Bill on Amendments to § 1 of the Strategic Goods Act (949 SE), initiated by the Government of the Republic. The Bill on Amendments to the State Family Benefits Act (926 SE), initiated by the Res Publica Faction and Isamaaliit Faction. The Bill on Amendments to the State Family Benefits Act and Associated Acts (896 SE), initiated by the Res Public Faction and Isamaaliit Faction. The result of voting: 50 votes in favour, 27 against. The Bill on Amendments to § 15 of the Value Added Tax Act (908 SE), initiated by the Social Democratic Faction and Members of the Riigikogu Peeter Kreitzberg and Mark Soosaar. The result of voting: 47 votes in favour, 10 against. At Question Time Minister of Social Affairs Jaak Aab answered the questions about the financing of health care and benefits for disabled persons. The sitting ended at 9.38.